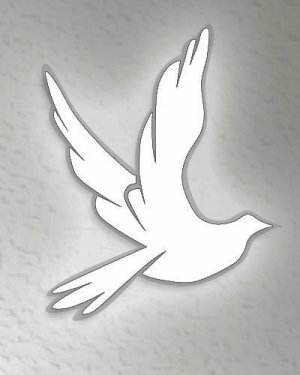 It is with a heavy heart that Marvena Ann Waugh Meeks has gained her wings when God called her home on February 2, 2019. Ann was born in Marlinton, WV on April 14, 1940 to the late Howard Oren and Gladys Dunbrack Waugh. She was preceeded in death by her husband, Orville Kenneth Meeks and brother, Norval Waugh. Ann is survived by her very special “daughter”, Malisa Nuckoles Hutto (Jackie). “Granddaughter”/Godchild, Jayna LeeAnn Hutto. Nieces, Brenda Waugh Quasebarth (Chris) and Cathy Waugh Quasebarth ( Curt). Other cousins including Twilia Gwinn Daniels, Jona Nuckoles Irvin, Blix McNeil, and Cheryl McCallister, sister-in-law Joyce Waugh, and a large extended family. Also, her very special friends that were like her family. Ann was a member of the Marlinton Methodist Church and the Eastern Star. She was an Avon representative in Ridgway for many years and a 911 operator for Elk County Office of Emergency Services for 21 years until her retirement. A celebration of life will be held in Ridgway, Pennsylvania, where Ann made her home, on February 16th at 11:00 a.m. at Thompson Funeral Home. Friends will be received from 10 AM until the time of the service at 11 AM. At a later date, there will be a graveside service with burial in Mountain View Cemetery in Marlinton, WV. In lieu of flowers, please make donations to Ridgway Ambulance Service or the Marlinton Methodist Church.